My interest in Japan and its (martial) arts was triggered from an early age on. So I’ve spent my teenage years practicing modern japanese martial arts. Later, I was looking for a more sword-based art. Thankfully, I could find a very good teacher in my native region who belonged to the Ishido line of ZNKR Iaidō. So I started with Seitei-Iai, Muso Shinden-Ryū and later Tamiya-Ryū as well. 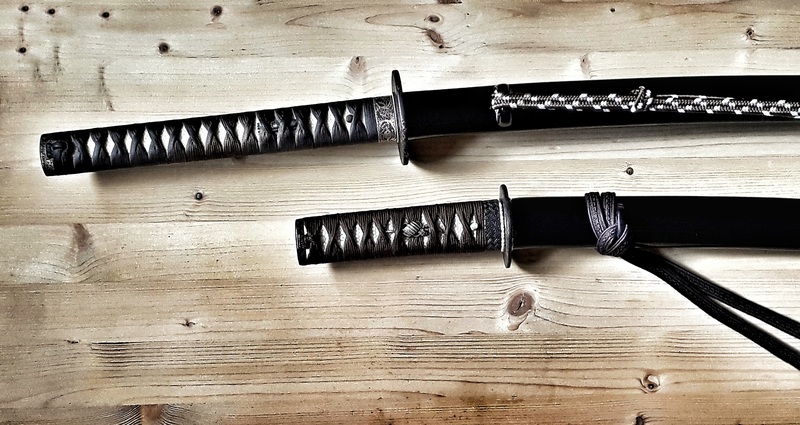 Around the same time I’ve developed a strong interest for japanese art swords (bijutsu tōken) and joined the NBTHK. My first travels to Japan followed. In my mid 20’s I have decided to move to Japan for language studies. Actually, the plan was a one-year sabbatical there. Well, this developed into a stay stretching over several years including language studies, employment with a japanese company and marriage. Of course, I have followed up on Iai as well and trained (among others) under Ishido-sensei in Kanagawa. But I do not consider myself a student of Ishido-sensei as the term „student“ has a much deeper meaning in a japanese context. Nevertheless, I received many valuable lessons in this time. Later, I moved back to Switzerland and took up again training in modern Iai, but with another school (Musō Jikiden Eishin-Ryū). A few years ago I had the opportunity to join a genuine Koryū. This is the Hokushin Ittō-Ryū Hyōhō which has its hombu dōjō (Chiba-Dōjō) now in Munich, Germany under the 7th Sōke Ōtsuka Ryūnosuke Masatomo. I gave up modern Iaidō practice completely in order to devote myself fully to the study of Hokushin Ittō-Ryū swordsmanship. As Shibuchō (branch chief) I am responsible for the swiss Shibu of the Hokushin Ittō-Ryū Hyōhō and leading the Keikojō in Basel as Kaichō (director). In January 2015 I have received the Hatsumokuroku scroll from the 6th Sōke Ōtsuka Yōichirō Masanori. In April 2017 I have received the Kajō-Mokuroku scroll from the 7th Sōke Ōtsuka Ryūnosuke Masatomo, the third of a total of five Makimono in our tradition. Basically, this blog is in German as there is a clear lack of valid information concerning Koryū in this language and I hope to fill this gap just a bit with my work. Upon popular demand certain articles are translated into English as well.